My darling Nadia – are you alive, my dear? I have no words, my darling, to write this letter that you may never read, perhaps. I am writing in empty space. 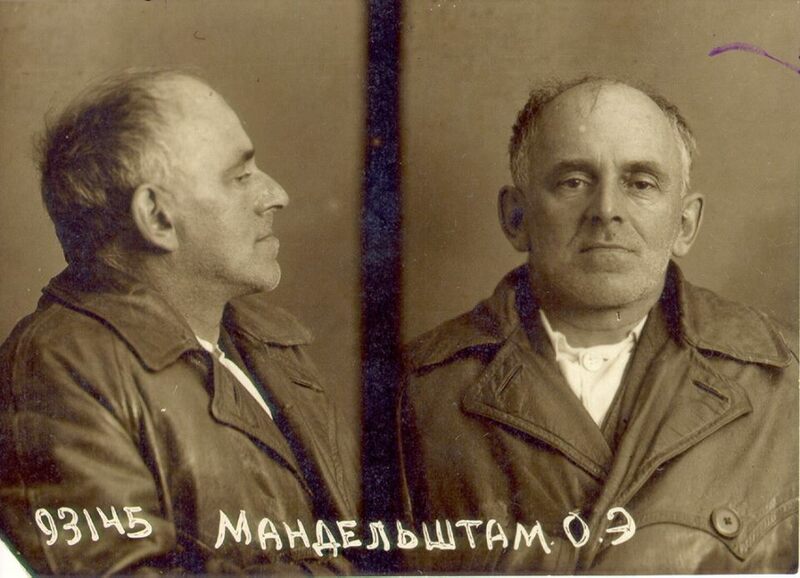 In all likelihood, Osip Mandelstam, considered by many to be Russia’s finest poet, perished in the final days of 1938 during an outbreak of spotted typhus shortly after arriving in the overcrowded Vtoraya Rechka transit camp outside of Vladivostok. Already in ill health after four months of presumed beatings and torture in the NKVD’s notorious Lubyanka prison, he would have arrived at the camp with unhealed injuries, starving, emaciated and barely able to walk after five grueling weeks in a stifling prison transport, a journey that covered the nearly 6000-mile length of the Trans-Siberian Railway line from Moscow to Vladivostok. There, delirious and raving, having bartered his yellow leather coat for a half kilo of sugar (as one camp survivor claimed), suffering from dysentery, exposure, malnutrition, and unable to stand, he would have died of typhus or some other disease caused by his ordeals and the inhuman conditions at the camp. Thus at least he was spared the unimaginable horrors of the dreadful two-thousand mile journey by slave-ship across the Seas of Japan and Okhotsk to the cruel Gulags of Kolyma where he was to begin serving his five-year sentence of hard labor for counter-revolutionary activities. I hate to think that at the moment when my mind was set at rest on being told in the post office that he was dead, he may actually have been still alive and on his way to Kolyma. 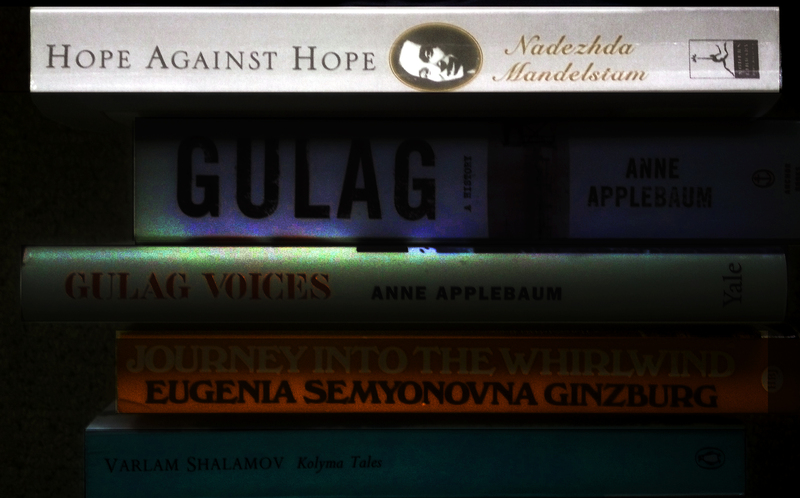 Hope Against Hope, Nadezhda Mandelstam’s startlingly clear-eyed recounting of great personal tragedy amid the immeasurably greater Soviet tragedy that unfolded during the second quarter of the twentieth century would be extraordinary by any account, but it is her equanimity, her self-composure impossibly balanced between resignation and defiance that makes it such an indelible and powerful document. Self-pity, paralysis and self-righteousness are nowhere to be found, in spite of the intense persecutions suffered by her and her husband (in her memoirs always referred to simply as M.). They simply continued on together, living as best they could through more or less chronic poverty and M.’s increasingly poor health, on constant alert for informers and secret police, weathering M.’s first arrest and imprisonment, their long periods of exile, the loss of possessions and livelihood, the painful separation or alienation from friends (of which she discusses many, most notably the great poet and lifelong friend Anna Akhmatova, but also Isaac Babel, Ilya Ehrenburg, Andrei Bely, and many others), and alternately battling and accepting the false hopes, gnawing uncertainty, and growing fear, until M.’s final arrest in May 1938. During all of this, and in the decades following his death, Nadezhda Mandelstam dedicated her life to protecting and preserving Osip Mandelstam’s poems, memorizing them and writing out copies to entrust to friends or to secret hiding places. As Joseph Brodsky noted, she was the wife of Osip Mandelstam for 19 years and his widow for 42. This, then, was how the beauties of my generation ended their lives – as the widows of martyrs, consoled in prison or exile only by a secret hoard of verse stored in their memory.